Student rates including FREE transportation. Why use York Storage and Van Solutions? We have assisted moving Students from both York University and St John’s University since 2006 and know precisely what service you expect from ourselves. We can move students belongings within the York area or re-locate them to your new place of study wherever it may be within the UK. If you are an overseas student, then we can arrange delivery of your items to your new place of residence on your return to the UK. 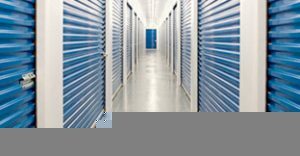 You must arrange for a key to be available so that we can gain access to your locker to collect your goods and if not stored with ourselves, then you must give permission at your storage location to allow us access to your locker. Step 1: Either email you details on our enquiry form or telephone 07952843398 to discuss your requirements. Step 2: Book your moving date and order any packing materials including the date and time you would like them delivered. Step 3: Pack your goods ensuring that each box or item is clearly labelled showing your name and box number. e.g. Mr Smith 1/10. Step 4: Have your boxes and items ready on the day of collection form either your room or reception area as agreed. Step 5: Relax! We store your good and deliver back to the address and date agreed. Need help collecting your items from your room? For an extra small charge we can collect and deliver your items straight from/to your room. I’m relocating to another University/Residence, do student rates still apply? We offer a wide range of boxes and packing materials. We can also arrange for these to be delivered to campus prior to your move. No problem, just let us know at time of booking and we can arrange to pack all your belongings ready for moving to your new destination or student storage site in York. Can I share this service with my friend? Yes, providing your friend resides in the same building or campus you can share the student storage facilities. By sharing you are saving even more with our special student discounted rates! To qualify for the free collection and delivery of your items whilst in store you must adhere to the following guidelines. Your items must be ready in the car park waiting for the driver at the agreed time. You must notify us one week before you are ready for your items to be returned to campus. Arrange a collection date and also a date for boxes to be delivered if required.